Arsenal manager, Unai Emery has reveal what he told midfielder, Matteo Guendouzi, after he was sent off against Blackpool in the Carabao Cup on Wednesday evening. Guendouzi, who assisted the opening goal, was shown a second yellow card in the 56th minute after pulling down a Blackpool player and will now miss Saturdayâ€™s Premier League clash with Liverpool. But Emery defended the 19-year-old after the game, praising his impressive performance, and felt he was simply a little over zealous rather than too aggressive. â€œHeâ€™s playing well. Heâ€™s playing with a spirit. Competitive. The action isâ€¦ itâ€™s an action, he plays that action as a normal moment in the game, Metro UK quoted Emery as saying. â€œHe is pushing behind the player. He is playing with the spirit I want today and every match. 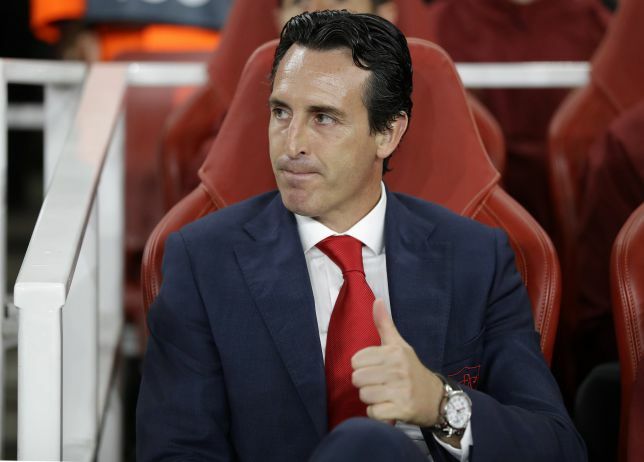 Speaking on Guendouzi missing the Liverpool game, Emery continued, â€œThat is football. Things can be positive or negative like an injury, a red card, 90 minutes of hard work, that donâ€™t allow you to play other matches. Guendouzi has made a big impact since joining the Gunners despite his age and already has eight appearances in the Premier League, with his absence being a likely blow ahead of Liverpoolâ€™s visit.